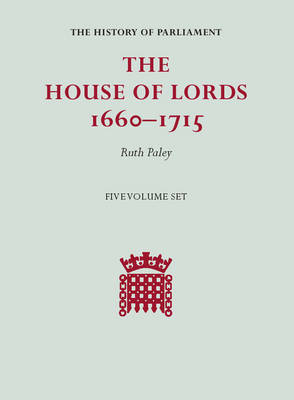 The latest set of volumes in the History of Parliament series, this is the first of the series to cover the members of the House of Lords. This monumental survey provides a detailed and comprehensive account of the c.700 men (both temporal peers and spiritual bishops) who were entitled to sit in the upper chamber of Parliament during the later Stuart period. Each biography is researched from primary sources and provides a richly detailed account of the subject's parliamentary and political career, wealth, and family networks and alliances. The volumes include biographies of the key political figures, but also of many men less prominent in politics, but with fascinating lives and careers. It is accompanied by an introductory survey contextualising and analysing the material provided in the biographies, examining the politics and social politics of the nobility and episcopate over the period.